A great way to explore a new city is to pick up a tourist map, put on your running shoes and head out of the hotel door. 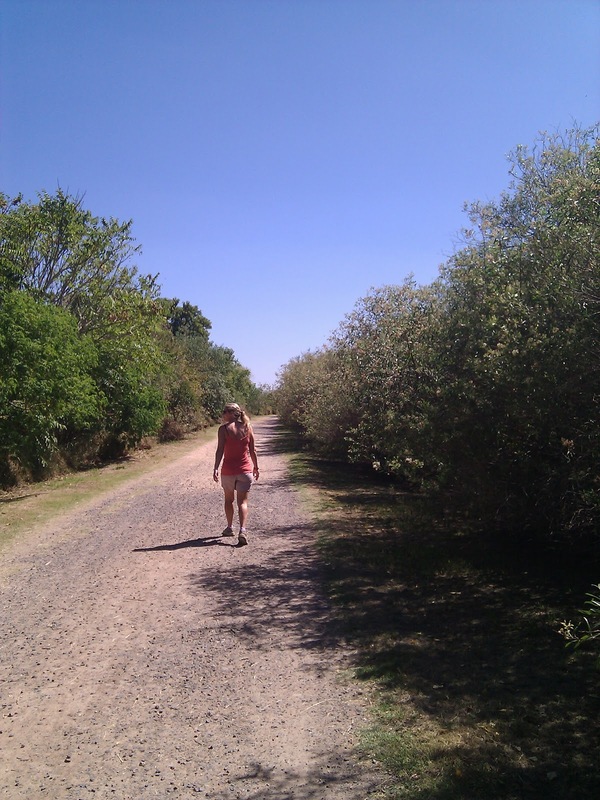 Buenos Aires has some excellent areas for running, combined with glorious sunshine. Running in Buenos Aires was hugely motivating, with the parks full of sporty types, from the many runners and walkers, through skaters, cyclists, martial artists and even weightlifters who had brought a van load of barbells out into the sun. The city is laid out on a grid system which is rarely good for running, with the frequent intersections and traffic lights. Especially when having to cross roads with fourteen lanes like Avenue del Libertador! There appears to be a fashion for walking at least a dozen dogs together in the parks of Buenos Aires, preferably mixing all shapes and sizes of dog in a single group. The sight of dozens of dog walkers was amusing and the dogs were well behaved and did not cause any problems for runners. The nature reserve of Costenera Sur provides an escape from the traffic, with an 8km loop around the edge of the reserve, and a couple of shorter trails across the middle. The outer loop takes in the Rio de la Plata, with the relaxing sound of waves lapping against the shore. Uruguay is on the far bank, but too far away to see. The reserve is busy with runners, cyclists and walkers, but the paths are wide enough to provide plenty of space for everybody. A relaxing, flat run, but note that the park is closed on Mondays, as are most of the tourist attractions in Buenos Aires. 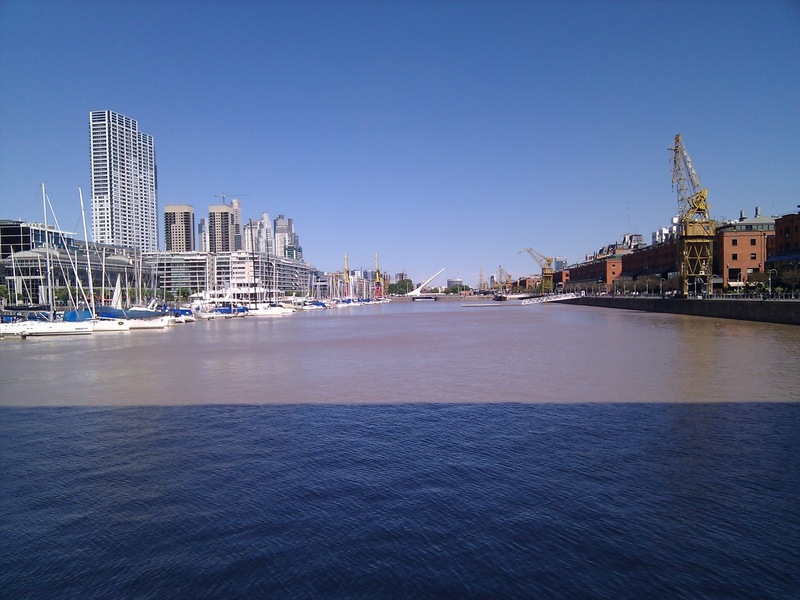 Adjacent to Costenera Sur are the Puerto Madero Docks, four vast basins separated by foot and road bridges. The mixture of refurbished docks and modern glass and steel towers makes for a great backdrop to a run. 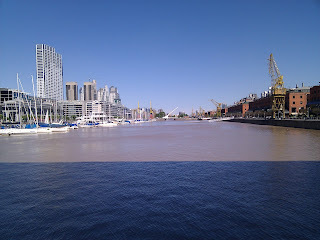 In addition to the pedestrian routes around the docks, the roads of Puerto Madero are relatively quiet and make for good running. Just visible in this photo in the Puente de la Mujer footbridge. There is a marked 10km trail, complete with sets of pull up bars, sit up bars and the like at regular intervals. This is a great place to meet other runners and throw in a bit of cross training at the same time. There is a map next to the lake at the end of Avenue Infanta Isabel, and the running route takes a long loop around Lago de Regetas. 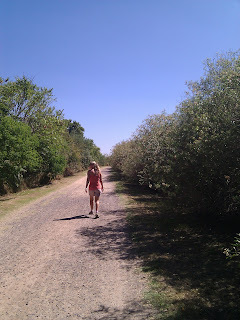 If you are on holiday in Buenos Aires, be sure to explore the parks and get in some running.